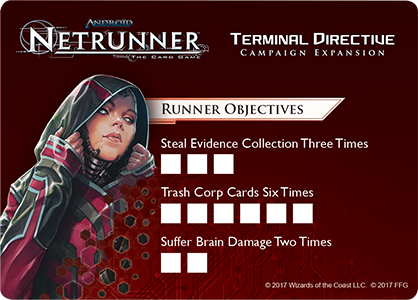 Pre-order Android: Netrunner Terminal Directive Event Kits now! As you know, Terminal Directive, the narrative campaign expansion, introduces an entirely new gameplay experience for Android: Netrunner. As such, the Terminal Directive Event Kit introduces a new way for players to engage in their favorite retail store! Your priority directive is to pre-order your Event Kits today! The window to pre-order these Event Kits closes on March 30th! Each Event Kit supports up to six players, so be sure to pre-order enough for your store before time runs out! What is a Terminal Directive Event? The Terminal Directive Event is a fantastic way to get a group of Android: Netrunner players together and begin the immersive narrative experience! 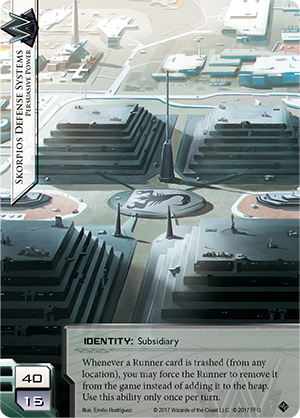 Terminal Directive is an upcoming narrative campaign expansion for Android: Netrunner that allows players to enjoy a constantly evolving murder mystery in the Android universe. Corp and Runner compete in a thrilling race for the control of valuable data that plays out over the course of an extended campaign. Each match impacts the larger shape of the investigations. Each data set unlocked leads players in a new direction. They may have run before. They may have pursued corporate agendas. 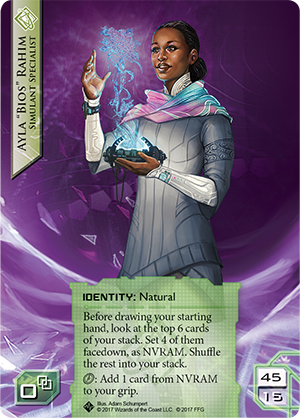 But nothing players have done has yet prepared them for Terminal Directive and the narrative-driven campaign play it brings to Android: Netrunner. 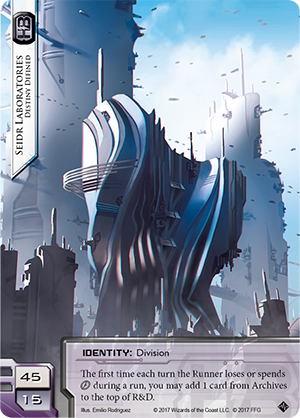 Retailers should schedule the event, and be sure to set aside plenty of time for players to build their decks with the contents of one Android: Netrunner Core Set (ADN01) and the new cards from Terminal Directive players will purchase when they enroll. What Comes in the Terminal Directive Event Kit? 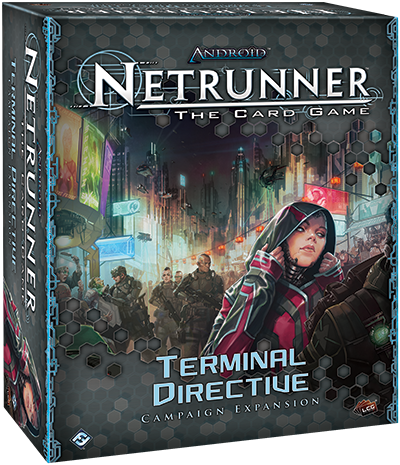 As a completely new way to play Android: Netrunner, Terminal Directive will allow players to immerse themselves in the Android universe, allow a new story to unfold, and create a truly memorable gameplay experience. So, of course, the Event Kit provides some fantastic prizes for players to take home and keep as a memento of their gritty murder mystery investigation. At the beginning of the event, each player will receive two double-sided extended art ID cards. 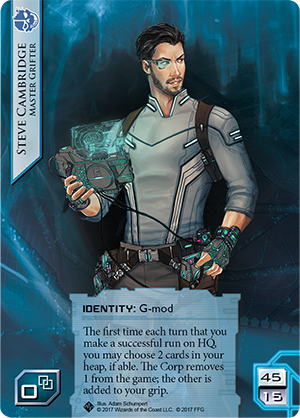 These double-sided cards feature the new Runners and Corps from Terminal Directive—Steve and Ayla on one card and Siedr Laboratories and Skorpios Defense Systems on the other. You can read more about the exciting new possibilities and strategies for these ID cards here and here! Each player will also receive a double-sided Directive card, representing additional goals for each side. As they play in the event, they will be able to meet certain objectives (in addition to winning, of course) and check the boxes as they are completed. It should be noted that attendees will need to play multiple games in order to complete the objectives on the Directive card. 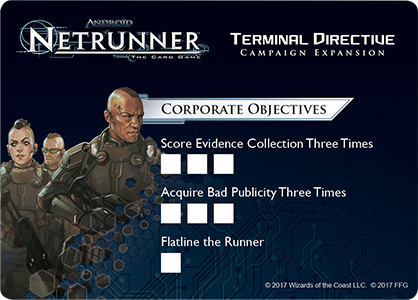 Once a player has finished playing and completing objectives, they can turn in their Directive card to claim up to three copies of both of the extended art cards, one for Runner and one for Corp, which will be revealed in another Terminal Directive article. Make sure your store contacts their sales representative (United States) or local distributor (International) to pre-order their kits by March 30th! Each Event Kit (OP034) will allow up to six players to dive into the Android universe with an immersive narrative gameplay experience in your store! Don’t miss out on the chance to host longtime tournament players, casual fans, and new runners for this brand new way to engage with Android: Netrunner.